Last night, 14th April 2016 TLC Marketing alongside Bupa became winners at The Chartered Institute of Marketing, Marketing Excellence Awards. Taking home the award for Integrated Marketing Communications: Customer Retention for the Out of the Blue campaign. Out of the Blue won this award not only because it made a step change in how Bupa approached retention, but because it also provided a new creative and digital benchmark for the way Bupa engaged with its customers. All of this was achieved against a backdrop of challenging market conditions. Customer retention is critical to any business, but none more than the insurance sector. 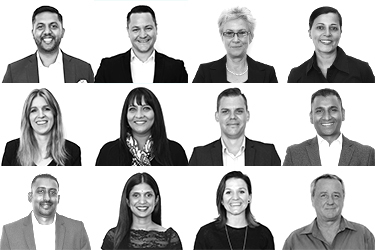 Bupa needed a customer centric approach that would create a blue print for a future retention strategy, so we worked together to create the Out of The Blue campaign which aimed to surprise and delight customers and be their ultimate health partner. The fresh approach paid off both with both Bupa and the Chartered Institute of Marketing, Marketing Excellence Awards. 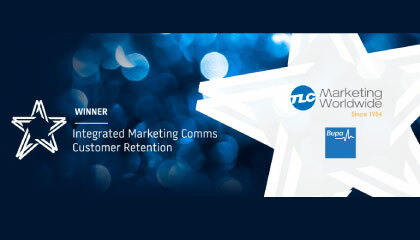 Nigel Samson, Group Account Director at TLC Marketing says, "It is fantastic to win this award and testament to the hard work put in by everyone at Bupa and TLC Marketing." Louise Miller, Senior Retention and Loyalty Manager at Bupa says, "We were always so proud of our Out of the Blue campaign because of it's creative, innovative approach, but to be recognised as award winning by such a respected institution like the CIM that really is something special."